TOYOTA has revealed a starting price of $26,990 before on-roads for its all-new C-HR small SUV. The C-HR (meaning Coupe High Rider) - positioned between Toyota's Corolla hatch and RAV4 size-wise - will be offered in two grades: C-HR and C-HR Koba, with impressive equipment lists. 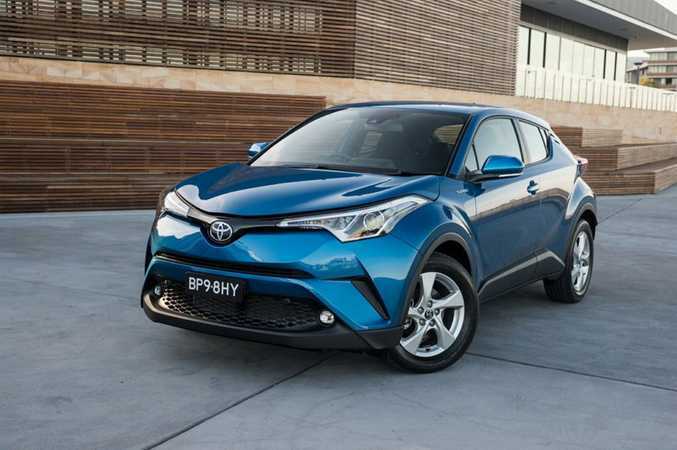 Toyota Australia expects the C-HR to sell incredibly strongly from its on-sale date this month, with waiting lists anticipated for the brand's first offering in the increasingly popular small SUV segment. With sights squarely on the similar-sized Nissan Qashqai which starts at $25,990 before on-roads, Toyota is aiming the C-HR at a more premium type of buyer, so there's no price leader sub-$20k model on offer, such as segment leading Mazda CX-3 with its $19,990 sticker price for its entry level Neo. We drove the C-HR on its European reveal last year, and found it was truly a game changing car for Toyota. The C-HRs use a 85kW/185Nm 1.2-litre turbo petrol engine from launch, mated to a six-speed manual or CVT auto, and will be available in front- or all-wheel drive variants. The latter adds an extra $2000 to the purchase price. With a strong emphasis on safety, advanced driver assist safety features will be standard on all Australian C-HRs, including a pre-collision system with autonomous emergency braking, adaptive cruise control, lane departure alert with steering control, automatic high beam and a reversing camera. The C-HR Koba version features heated seats, a smart entry and start system, privacy glass, leather-accented upholstery and 18-inch alloy wheels. In top spec AWD spec with CVT gearbox, the C-HR Koba is $35,290 before on-road costs. 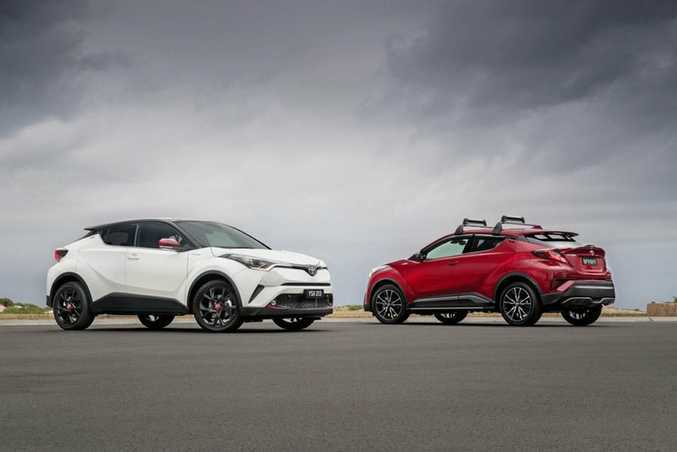 Toyota Australia's executive director sales and marketing Tony Cramb said C-HR's design brings together the best aspects of a hatchback, a coupe and an SUV. 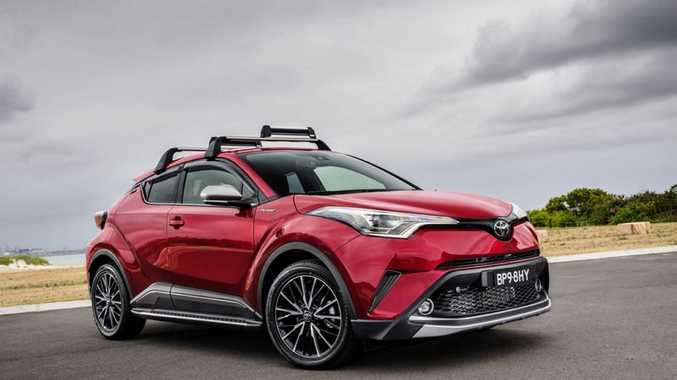 "C-HR will bring new customers to the Toyota brand - typically younger, image-conscious people who take a more emotional approach to purchasing a car compared with our more traditional customers," Mr Cramb said. 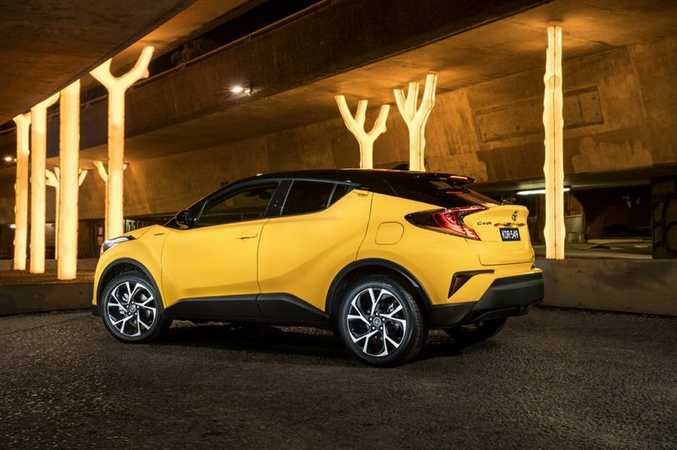 "Owners will appreciate C-HR's refined engine, its supple chassis that rides and handles well, its premium airy interior - and the bonus of excellent fuel economy," he said. Toyota Australia says the brand-building C-HRs, built in Japan, should sell very strongly to private buyers. 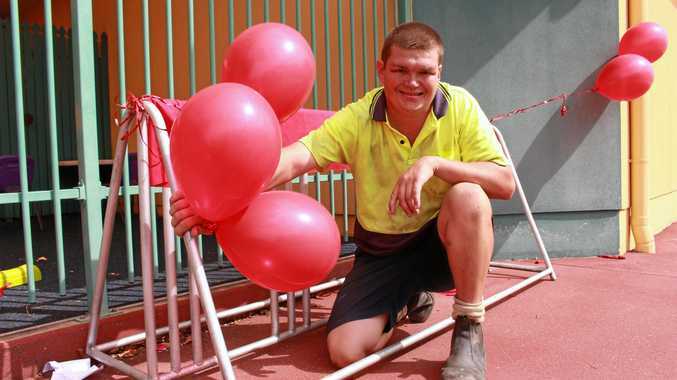 It expects to receive just over 6000 examples for sale here for the next year, and there's the expectation that demand will outstrip supply. Sporty and hybrid Toyota C-HRs coming in the future?